If you work in an enterprise IT organization that's been around for a more than a decade or two, it's a pretty good bet that you do business with one of the so-called megavendors -- IBM, Microsoft, Oracle, and/or SAP. These established vendors have had deep roots in enterprise businesses for many years with ERP systems, databases, and more. Before you head into your contract negotiations with these megavendors, you need to prepare your own tactics and strategies. That's according to Melanie Alexander, a director analyst at Gartner specializing in vendor contract negotiations. She provided some perspective on the best ways to prepare for your negotiations with these vendors during a session at the recent Gartner Data and Analytics Summit in Orlando, Florida. "Their main purpose in life is for you to spend more money with them," Alexander said. They will want to upsell you to use the full platform -- to get you on the hardware and middleware and application stack, she said. They have a strategic product set and those products help them promote the sales of their other products. They want to get you into their cloud and lock you into subscription pricing. They want you to increase your spending with them year over year. Your vendor has a whole team working on sales tactics to use with you, and you should also have a team to work on your relationship and deals with that vendor. "Their main purpose in life is for you to spend more money with them." "One of the biggest mistakes people make is not leveraging everyone within your organization," said Alexander. For instance, the finance department can help you with your proposal by offering an analysis of what the spend means for the long term. "The more information you have in your negotiation, the stronger you are," she said. You should also identify and engage with competitors to your current vendor, according to Alexander. So, for instance, if you are with IBM, you could go to CA or BMC or SAS. "Don't hide that you are talking to the competitor," she said. "This will give you a higher competitive edge." But at the same time, make sure you calculate the costs that will come with switching during your negotiation planning process. Also, make sure your RFPs (requests for proposals) state that "This is a competitive bid offering" to create a competitive environment. What are the delivery options? Are there hardware requirements? Is this private cloud or public cloud, or a SaaS model, or is this an application running on a public cloud such as AWS? What are the license model options -- perpetual, SaaS, term, or consumption based? Alexander noted that Gartner has seen a big increase in technology offered with consumption-based pricing. What are the maintenance and support options -- basic, premium, subscription, third-party tech support? What are the pricing metric options -- per processor, by revenue, by device or user, barrels of oil, APIs? What are the contract models and options -- ELA, unlimited, pay-as-you-go, flexible use, reserved instances? You should also make sure the vendor defines each metric that they use in their proposal and contract language, according to Alexander, because "every single vendor defines it differently." Skipping this step is one of the main reasons organizations are targeted for software audits. "They don't understand what a term means and how it applies," Alexander said. "Verify, verify, verify. Ask them about the audit risk, and why people get audited." Next, make sure you pay attention to the terms and conditions, or T&Cs. Alexander recommends maintaining checklists for this that cover both standard T&Cs and customized, vendor-specific T&Cs. 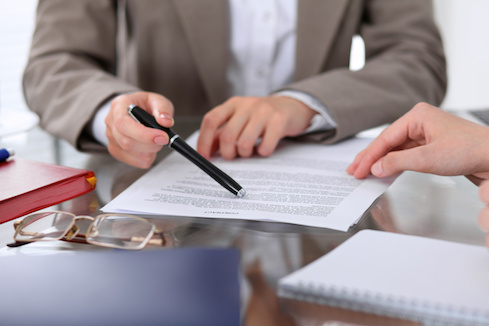 You may want to negotiate specific protections into this part of your contract. For instance, if a vendor has bundled multiple technologies into a single product, but then decides to split those technologies into multiple products and charge for each product, you will have to buy those multiple products instead of one, and chances are it will cost more. Negotiate for protection against bundling and renaming in your terms and conditions. You may also want to negotiate renewal price caps on your SaaS subscriptions of 3% to 5%. In terms of data privacy, security, and GDPR liability and protections, try to get a hard copy of the documents. Vendors will want to link to data privacy terms instead of having them spelled out in your actual terms and conditions document. But that enables them to change those data privacy terms without your knowledge. It's best to include the actual language in your terms and conditions rather than allow the use of links to online terms. Finally, Alexander recommends making sure time is on your side in negotiations. The more time you allow for planning these deals, the more leverage you will have. In any case, you are likely to get the best deal with any vendor if they are in the fourth quarter of their fiscal year, when they are working hard to make their numbers. "That's when you have the most leverage," Alexander said.